The refurbishment work at the Sligo Noble Six plot at Sligo Cemetery is to commence shortly, the project will be completed well ahead of schedule for the 90th anniversary of the deaths of the men on the slopes of Benbulben mountain on September 20th. Phase one of the scheme included the complete replacement of the back facade and plaques and cost approximately €15,000. The next phase will see the reinforcement of the concrete bases and the graves and it is likely that temporary stones laid for last year’s annual commemoration will be replaced by slate. The Noble Six – Brigadier Seamus Devins, T.D., Div. Adjt. Brian Mcneill, Captain Harry Benson, Lieutenant Patrick Caroll, Vol. Joseph Banks and Vol. Tommy Langan – died on September 20th, 1922, and after their funerals five of the six were interred in the republican plot at Sligo cemetery. Div. Adjt. Brian Mcneill was buried in Dublin. Four other republican comrades of the Noble Six are also buried in the plot. Last September a fundraising drive was launched to have phase two of the refurbishment scheme complete at an estimated cost of €5,000. Sligo Borough Council recently granted-aided the project in the sum of €2,500. “We had a very good response to our appeal for funds and now we are in a position to be ready to start phase two when the weather becomes a little bit more favourable. The works will be finished well before the 90th anniversary,” said one of the Trustees of the Noble Six plot, Mr. Kevin Carroll. National Museum of Irelanad – Country Life What is it? The Museum of Country Life is the newest of the four museums that make up the National Museum of Ireland. Opened in September 2001 to house the National Folklife Collection, the museum complex at Turlough Park, Co Mayo, includes purpose-built exhibition galleries in the grounds of the Victorian Turlough Park House, formerly the home of the Fitzgerald family. Why visit? The museum has various collections that record and celebrate rural life in Ireland from 1850 to 1950. Some of the most interesting display the methods, tools and produce of blacksmiths, tinsmiths, wheelwrights, wood-turners, country coppers, thatchers, basketmakers, tailors and cobblers. Other exhibits deal with the political, economic and social changes in the period and the role of stories, myths and traditional beliefs alongside formal religion in people’s lives. The original drawingroom and library of Turlough Park House are also open to the public and furnished as they might have looked in 1900. Why now? The exhibition Power and Privilege , comprising photographs of life in country houses from the National Photographic Archive, is on show for the first time in the west of Ireland. The photographs give an insight into daily life in the “Big Houses” of the 19th century, showing us what people wore, their modes of transport and the servants, farm workers and tenants who worked in the houses and gardens. The exhibition, which runs until April 15th, charts the evolution of photography and how the images were derived from negatives or prints. Also on show until the summer is the new hoard of early Bronze Age goldwork from Coggalbeg, Co Roscommon. The Museum of Country Life has an extensive programme of activities including the Big Performance for Little Christmas by musician, singer and composer John Doyle at 2.30pm tomorrow. How to get there The National Museum of Ireland – Country Life is situated just off the N5, 8 km east of Castlebar, Co Mayo. It can also be reached by driving to Turlough village on the old road from Castlebar. It is is open from 10am-5pm from Tuesday to Saturday and from 2pm-5pm on Sundays. Admission free; museum.ie, 094-9031755. THERE WILL be an annual growth in visitors to Ireland this year for the first time since 2007, according to Minister for Tourism Leo Varadkar. Mr Varadkar’s comments yesterday were made following the publication of figures by the Central Statistics Office, which show an increase of 6.5 per cent in the number of overseas trips to Ireland from July to September. 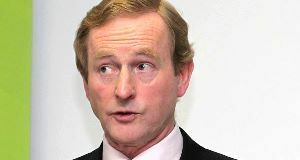 The figures also record a sharp fall in the number of trips abroad being taken by Irish citizens. A total of 2,126,200 people visited Ireland during the three-month period from July to September, representing an overall increase of 129,600 on the same period last year. The total number of overseas trips by Irish residents fell by 7 per cent, or 150,000, to 1,987,200 compared to the same period in 2010. The greatest increase was in visits from Britain – Ireland’s largest overseas market – with 6.8 per cent more travellers visiting during the period. A total of 910,500 trips were made to Ireland from Britain during this time. Visits from other EU states increased by 5.8 per cent (up 40,900 to 741,800), while trips from North America were up 5.2 per cent, or 17,200, to 350,000. Trips from all other areas rose by 12.3 per cent, or 13,600, to 123,800. Tourism Ireland chief executive Niall Gibbons said 2011 appeared to “mark a turning point for Irish tourism”. He described the figures as “good news for everyone in the tourism industry” and said the continued “positive performance” from Britain was “particularly welcome”. #AQUATIC TOURISM – Water-based activities from kayaking to surfing to diving have a “huge potential” for Irish tourism. That was the message from Fáilte Ireland’s Outdoor Adventure and Activity Forum in Westport, Co Mayo this week, The Irish Times reports. Figures announced at the forum showed that angling tourism accounted for €58 million, while surfing attracted 52,000 visitors – a low number considering Ireland’s growing reputation in the sport. Fáilte Ireland’s Brian Maher said that the agency is working on a new strategy for aquatic tourism to take advantage of Ireland’s potential in the area, aiming to develop activities from angling to cruising and sailing to surfing. “One of Ireland’s great strengths has been in angling,” he said. “There is still tremendous potential there for that core group of anglers. Figures announced at the forum showed that angling tourism accounted for €58 million in revenue, while surfing attracted 52,000 visitors – a low number considering Ireland’s growing reputation in the sport. 100 events • 80% free • All Indoors • Intimate Concerts • Street Markets • Over 350 artists • Dynamic pub sessions • Cafe Culture & Sligo Live Showcase • Fantastic festival club with 3 rooms of music featuring the best Indie, Traditional & Acoustic festival artists • The Fiddler of Dooney • New Spoken Word & Literary Strand • Under Bare Benbulben’s Head • Y Tunes • The Scottish Connection • And much much more ………………. The history of the Kesh Caves in Co. Sligo is an ancient one dating back over several millennia. Steeped in mythology, they are dramatically located within a rich prehistoric landscape. On August 27th Dr. Marion Dowd archaeologist and IT Sligo lecturer will deliver a lecture, “The Kesh Caves through time: archaeology and mythology”, to coincide with National Heritage Week 2011. She will take her audience on a journey back in time, detailing how archaeological material and early literary references indicate that the Kesh Caves have been used for various purposes for thousands of years. Dr. Dowd, a lecturer in prehistoric archaeology at the School of Science in IT Sligo, will detail the implications of the human and animal teeth found in the caves and the possibility that these signify that the caves were once sacred places where special offerings were made. She will also relate the mythology of this dramatic place and tell the story of Cormac Mac Airt, legendary High King of Ireland believed to have been reared by a wolf in the caves. Excavations were carried out at the caves in 1901 and 1929 but thanks to radio carbon dating, Dr Dowd can tell much more about the artefacts than was known previously. “The Kesh Caves through time: archaeology and mythology” which will be held in Keash Parish Hall (White Hall) Co Sligo at 9pm on Saturday August 27th. Admission is free and all are welcome. Encompassing the counties of: Clare, Donegal, Galway, Leitrim, Limerick, Mayo, Roscommon,Sligo, Offaly and Tipperary, the West gets under your skin like no other place in the world, offering an unparalled experience to all who visit. The haunting drama of the Donegal landscape includes the enchanting Glenveagh National Park and Castle; Yeats’ County can be viewed from on high with a hike to the table top of Ben Bulben in County Sligo; or you could try a different vantage point with an ocean voyage to the magical Aran Islands in County Galway or Achill Island, County Mayo. For those with a serious head for heights, nothing rewards more than a stroll along the magnificent Cliffs of Moher, County Clare! A little closer to sea level, picturesque Lough Key Forest Park in Roscommon is a haven of tranquility; while the legendary beauty of the majestic River Shannon stretching through the cruising counties of Leitrim, Offaly and Limerick can literally take your breath away. TOURISM: THE ORGANISERS of the first Ireland Reaching Out “week of welcomes” have hailed the event as a success. More than 30 overseas visitors participated in the week in east Galway which ended last Sunday. The week of welcomes arose from an idea at the Farmleigh Summit in 2009, that local Irish communities should be involved in encouraging the diaspora to come and pay a visit by tracing descendants of emigrants and encouraging them to visit. The visitors were from the UK, US, New Zealand, Australia and parts of Ireland. It began with a reception at Cloghan Castle in Kilchreest, Co Galway, and included a tour of all the parishes in east Galway, a “who do you think you are” day focusing on family trees, a real Irish wedding and a hurling match. Delegations from Monaghan, Kerry, Tipperary and Dublin attended with a view to holding similar events in their own counties. Ireland Reaching Out was the brainchild of Galway entrepreneur Mick Ferrick who said the inaugural event proved “beyond doubt the huge potential for Ireland Reaching Out across Ireland”. Ireland Reaching Out co-ordinator Dolores O’Shea said organisers had learned lessons. For example: not every parish had visitor accommodation; and that there were also issues with transport. Although the absolute number of Irish speakers, at four million people, may have been the highest ever, the language had retreated completely from the east of the country and collapsed even in the west after the 1840s. The Irish language first lost its pre-eminent position in Ireland and then declined almost to the point of extinction. 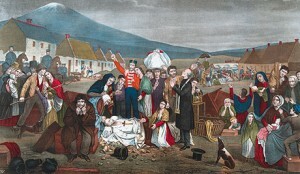 Factors often cited are the famine of th 1840s, emmigration and the introduction of English-speaking compulsory National Schools in the 1830s. However, Irish had already lost its grip in much of the country by then. Padraig Lenihan argues that factors such as the dispossession of the native elite, and the de-coupling of the language from social prestige were key factors. Fearghal McGarry notes that by the early 20th century, in Monaghan as in many other rural areas, the language was confined to the very elderly. While not absolutely unprecedented, the near death of Irish was very unusal for a modern European language. Some of the most beautiful scenery in the whole of Ireland is in the Northwest of Ireland like Mayo, Sligo, Leitrim and Donegal. Mountains, Lakes, Rivers bulging with ready to be caught fish, Coastline sea’s for boat angling, with miles of beaches for sun bathing and healthy exercise. Great places of interest like:- Carrowmore Megalithic Cemetery- Carrowmore Sligo. This is the largest cemetery of megalithic tombs in Ireland and is also among the country’s oldest, with monuments ranging from five and a half thousand to six and a half thousand years old. Archaeologists have recorded over 60 tombs of which 30 are visible. A restored cottage houses an exhibition relating to the site. Access to the tombs may be difficult for people with disabilities. Visitors are advised to wear shoes suitable for walking on uneven terrain. Sligo Abbey – Known locally as the Abbey, this Dominican Friary was founded in the mid – 13th century by Maurice Fitzgerald. The site contains a great wealth of carvings including Gothic and Renaissance tomb sculpture, well preserved cloister and the only sculptured 15th century high altar to survive in any Irish monastic church. This enigmatic friary will inspire and enlighten it’s visitors. Access on site is by stone stairway. Doagh Famine Village continues to grow each year attracting thousands of visitors from all over Ireland and across the world. Firmly established as one of Ireland’s most authentic and unique attractions it is an educational, thought-provoking and humorous experience. You will be sure to be captivated by the whole experience which both adults and children alike can enjoy. Thank you for taking the time to learn more about the Famine Village and we look forward to welcoming you along in the near future. Fr James McDyer moved to Glencolmcille in 1951. On his arrival Fr McDyer recognised the lack of proper services in the area and set about promoting industry and providing better facilities in the Parish. The Folk Village Museum was built in three months. At the opening of the Folk Village, it consisted of four houses representing the cottage types of the area during the previous three hundred years complete with furnishings and artifacts donated by the local community. These artifacts would have been in common use by the people of Glencolmcille even to that time. Since that initial opening, a school, shebeen, craft shop and other items have been added. The Folk Village has thrived and grown over the years. Why not visit Clare Island off the Mayo coat? Ferry to Clare Island off the Mayo coast Clare Island is the largest island in Clew Bay. It comprises 4,053 acres , is 5 miles long and 3 miles wide. It is dominated by 2 hills, Croaghmore (1520 feet) and Glen Hill (729 feet). As you arrive into the harbour on Clare Island, the first thing that will strike you is the beautiful sandy beach to your right, which makes an ideal playground for children and provides for safe swimming. On the rocky headland at the harbour is the square tower which served as Grace O’ Malley’s (Granuaile’s) castle. Clare Island was the stronghold of this remarkable 16th century O’ Malley clan chieftain who lived by her family trade of piracy and plunder. So widely feared was “Granuaile” (as she was known) that she was received with full honours at the Tudor Court of Elizabeth 1st. She maintained her dominance into old age, died in her seventies in 1603 & was buried in the abbey on Clare Island. An ornate stone plaque in the abbey is believed to mark her burial place.